Carl's Curios: Turn and turn about? I know these will not challenge you but I thought they provided a pleasant variety of some interest. I would appreciate your ideas of dating for them. top forceps, left 2 pelicans, and right 2 toothkeys. I'm sure you're right, Rog. My problem is Rog that Rome was founded on April 21, 753 BC in Latium (a region of central western Italy) and expanded and contracted until September 4, 476 AD (more than 12 centuries) and is still with us today as a Capital city of powerful influence on World civilisation. 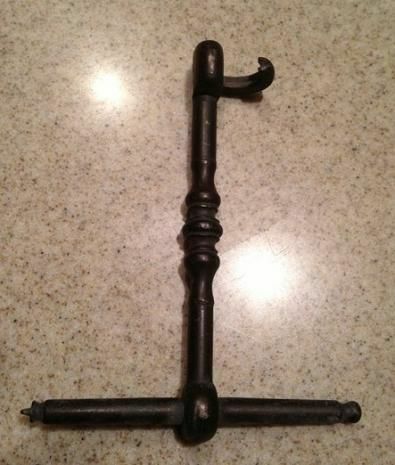 I suspect this item was made AD but whether decades or centuries after I am unsure. Number 5 is not a key but a dentist's tooth extractor. 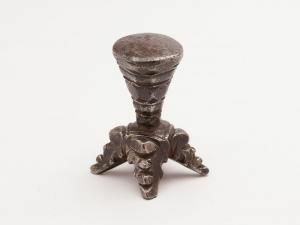 It is probably English, and of eighteenth century date. I'll have a look at the rest ack emma. Goodnight. Your forceps look more like ember tongs (unusual jaws, though). 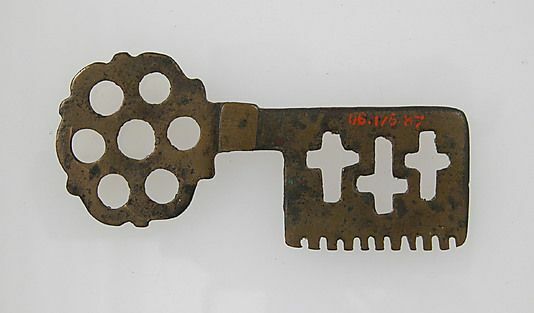 (1) Casket key, 15th century. 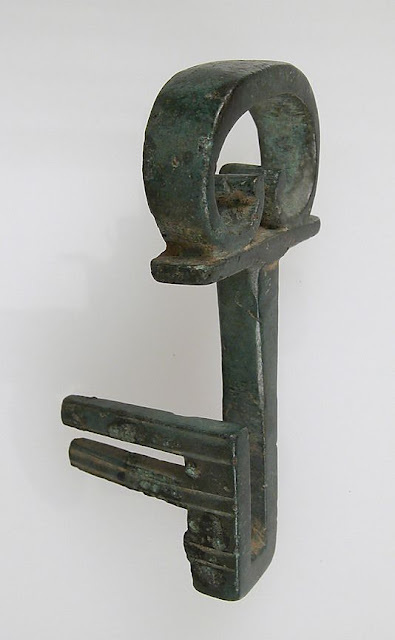 (2)French latch lifter - looks early - just could be Roman. 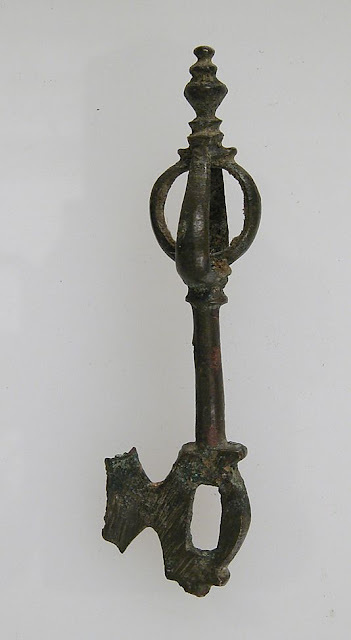 (3)Looks like a cross between a Roman key and a 'jew's harp'. 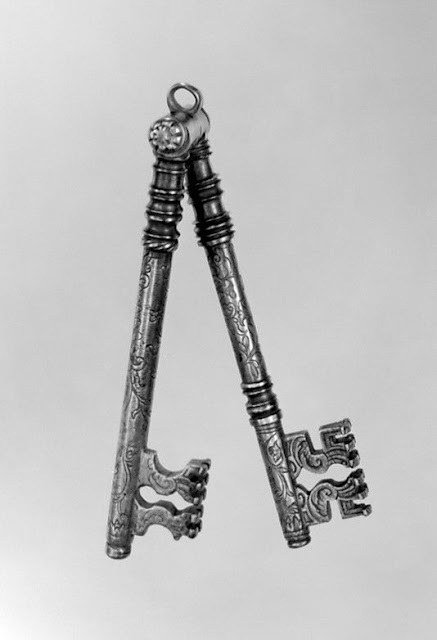 (4)Double key - Italian - 17th/18th century. (5)Already dealt with - tooth key. 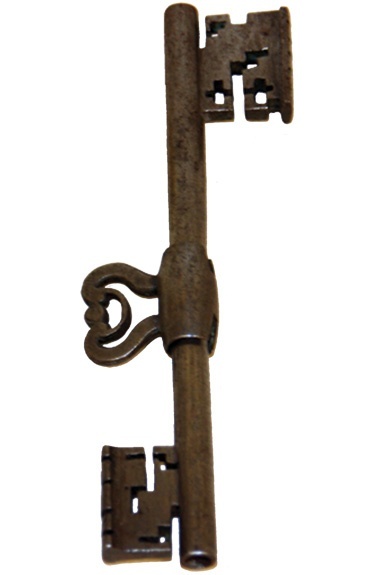 (6)Double ended hollow barrelled key. Anglo Germanic, eighteenth century. 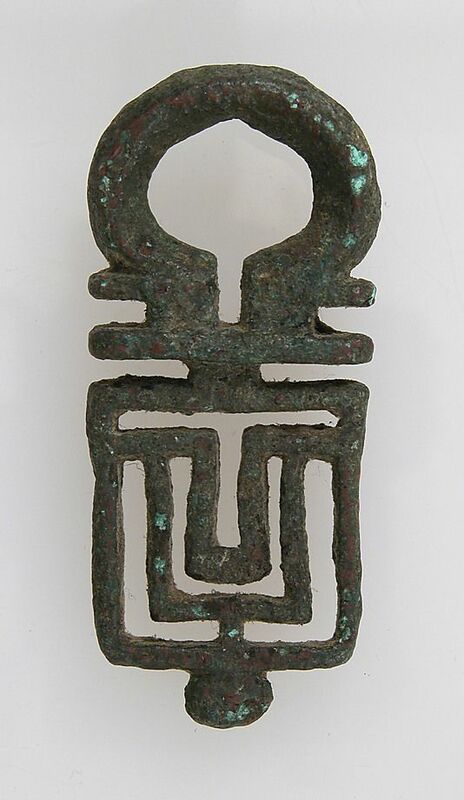 (7)Bronze key, Italian (?) 15th century. (8)Bronze key. 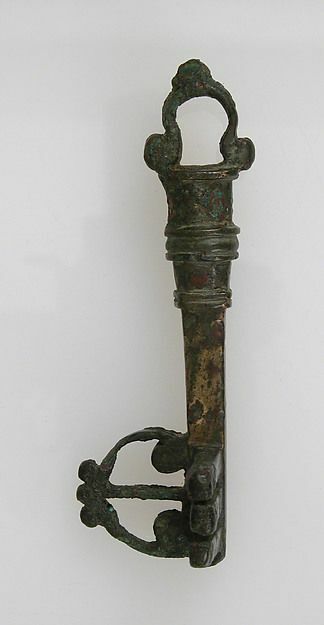 Italian, circa 1100s.